Last year, me and a couple of friends, Tony Hammitt and Travis Claypool, came up with an idea to grow spirulina on Mars that we called Marvin’s Lunchbox, and won the Kennedy Space Center global competition for the Grow Food for a Martian Table challenge. Spirulina is a marvelous little algae that’s really easy to grow under extreme conditions and is densely nutritious to eat, but it tastes like crap. This year, my friend, Dustun Rogers, and I invented a conceptual technology that would turn spirulina and a bunch of other nutritious things into yummy, fresh food in space. For our example food, we chose pancakes. In addition to 3D printing technology, we were very inspired by modern soda machines with a few nods to bread making machines. We stole most of our mechanical ideas from those three technologies. 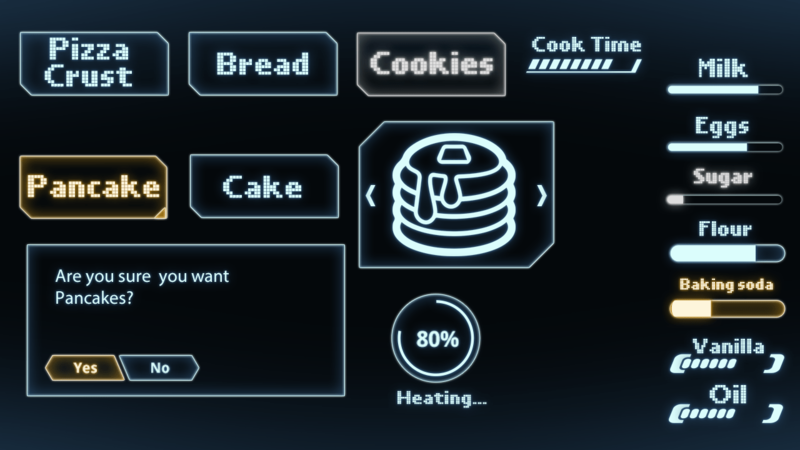 If you’re interested in learning more, you can read the food replicator write-up we did to enter in the global competition or watch Pancakes in Space, the Movie. So, what does all this have to do with big data? Well, both our competition, and our inspiration for the brains of our project came in the form of Big Blue. The other local winner from Tech Shop in Round Rock, Texas was a team of guys from IBM who used the IBM Bluemix framework to design an app that helps improve the understanding of public data sets. That was my first look at the Bluemix services console and workflow designer. The team of three IBM guys were able to put together a working prototype of a text data analysis engine in a couple of days. The Bluemix console has got a lot going for it, especially for someone wanting to prove out a concept quickly. My boss said he felt they were “cheating” by using their own technology on a weekend challenge, but it makes sense to me to use what you know. If you’ve got a good data analysis workflow tool at your disposal, why not use it? If I decided to tackle one of the data analysis challenges for SpaceApps next year, I’d probably use Actian Vector or Vortex Express and design my workflow in KNIME. I know the tools. They’re efficient and free. Why wouldn’t I? But this year, neither IBM BlueMix nor Actian held the technology inspiration I needed for my unique form of data analysis. I took inspiration from another IBM created big data analysis gem, the IBM Watson Recipe Recommender. This is an application that takes the input of all the ingredients you currently have, and recommends a recipe to cook. (I wish one came attached to my refrigerator.) A variation on this concept is essentially the brains of our food replicator design. Start with a database of all of the ingredients you have, track usage so you know when you’re running low on something, and store a vast array of recipes for things you can make with that specific list of ingredients. This allows you to make a lot of different things with a limited number of ingredients. Less mass to boost, more variety on the astronaut’s plate. You add some food preference and health information on each of the astronauts, maybe even updated constantly from wearables that could detect vitamin deficiencies and such. Analyze the available data, and recommend food items that would be both tasty and nutritionally beneficial. Voila. Health data analysis of the future, and pancakes in space. Not to mention muffins, bread, biscuits, smoothies, ice cream and a lot of other delicious fresh-made food. I often feel like I live in one of the science fiction novels I devoured as a kid. The data analysis and hard technology innovations that are happening right now are changing the face of our planet, and even beyond. I’m honored and delighted to be a part of bringing yet another science fiction idea closer to reality. Pancake, banana, hot. Make it so.